In the last post we added code to detect and tell the player when they have won. In this post we’re going to add code to detect when the player has lost. This is actually actually a lot easier, just check if the post where they clicked has as mine. If it does do pretty much the same thing we did when the player won, which is set a flag / variable in the scope. In this case we set hasLostMessageVisible to true. And just like we did when the user won we add the message to the HTML and use ngIf to show the message when hasLostMessageVisible is true. There, now we have the core features of Minesweeper. You can now play the game and win and lose. It doesn’t yet have all the features that the orignal Windows Minesweeper had but it’s certainly a starting point. 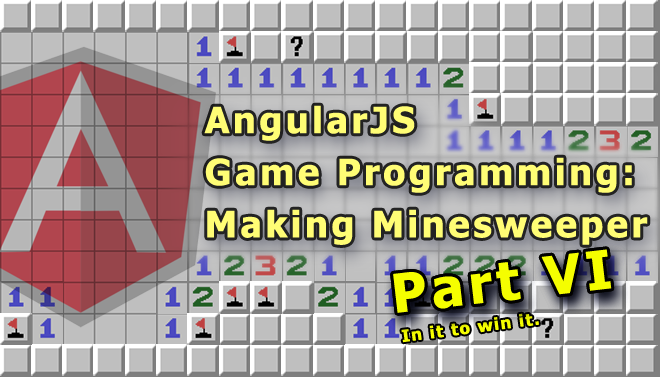 Last time on “AngularJS Game Programming”: We added mines! In this post we’re going to add numbers, doesn’t seem quite as cool as things that boom but it does get us that much closer to having our own complete version of minesweeper. So far so good. Now we let’s add the numbers. We do this by going through each spot, checking all the spots around it and counting the mines. Let’s start by writing the function to calculate the number for a single spot. Only spots that are currently empty that have mines around them should be populate with a number, otherwise they should be left as “empty”. 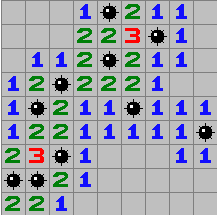 Spots that have a mine should be skipped. When we count the number of mines around a spot we should be careful about going off the grid. For example if we’re checking the spot at the very top left, there are no spots to the left or above it. If we try to access it we will get an error. Now we update createMinefield() to call calculateAllNumbers(), and that only leaves the display. The display is very similar to the code we already have, we just need to add one for every number (1 through 8). 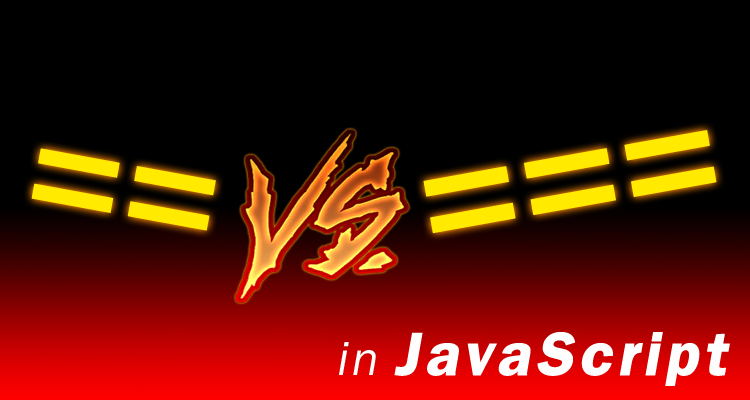 In the next post we’re going to add logic to detect whether you’ve won. Next Post: Detecting if the player won.